Throughout the United States, and the world, people are starting to see how beneficial and worthwhile making an online business is. And with Amazon leading the way for new entrepreneurs, it is easy to see why. Although there may be a lot of people who do not have experience in this type of work, you can easily learn how via a quick internet search. Of course, starting a business is one thing, however, growing it is a completely different story. While you can simply watch a few videos or read a couple tutorials online on how to quickly build an amazon business, you cannot do the same thing when growing. Growing takes time energy and a whole lot of patience. You will fail…a lot. But it doesn’t have to be that way. Most new amazon business owners think that they are doing everything they can and everything in their power to grow their new business. But, with so many of them failing every year, it is clear to see how many of them simply do not know how to do business. While it is a great achievement to start a business on your own and accomplish that with little to no help, for the sake of your company, it is best to enlist in some expert help. Along with new businesses opening online, new work opportunities have also opened up to help these people. Which begs the question, “should you hire a consultant for Amazon to grow your amazon store?” The simple answer to that is yes. We will now go into explaining, in more detail, why we believe this. So, read on, be inspired and hopefully, by the end of this article, you will be able to understand how to better grow your amazon business. 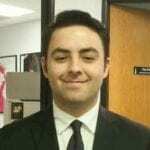 Reasons to Hire a Consultant for Amazon! Sometimes amazon businesses simply don’t know what kind of help they need until they need it and it ends up being too late. 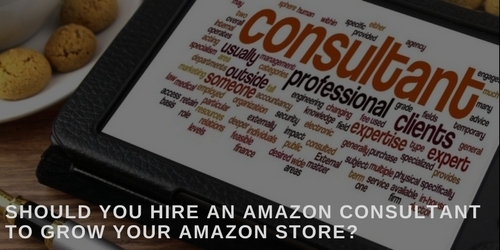 So, here are three reasons why you could potential need to hire a consultant for Amazon. Don’t Sweat the Learning Curve! With the wave of new age learning, there are so many ways you can learn how to grow your business. And while you can spend hours and hours pouring over different online courses in an effort to find the right one, you could simply hire a consultant. If you look, there are thousands upon thousands of people out there online, looking to work with you, as an amazon business owner. And while it may be a scary thing for you to consult with them on how to grow your business, it will surely save you the countless hours you would need to learn these things yourself. On one hand, for some bigger businesses there are highly experienced expert consultants who bring their businesses up to snuff, however, they charge in the thousands. And while there number show their experience, it is difficult for newer business owners to pay such high fees when first starting out. On the other hand, there are also men and women who have taught themselves how to grow their own amazon businesses during nights while in college. And while they may not charge as much as the other guys, they have just as much experience, if not more. These types of people are a great investment that the smaller business owners can rally behind and pay for. So, whether you choose to hire an expensive consultant with years of experience, or you choose to hire the one fresh out of college, either way you will benefit from it. Gain More Experience & Knowledge! Most Amazon consultants have years of industry level experience and onboarding. And even for the cheaper alternatives, they still have learned quite a lot about the best practices as well as industry developments. So, when you hire a consultant for Amazon, you not only get their help, you get all of the years of knowledge about the industry that they have collected through countless classes and seminars. While you may feel like you should go and learn this information yourself, take a moment to consider the cost to learn all this knowledge. Most of the time, the cost to learn all this information is in the thousands. Now, if you ask a consultant for Amazon what kind of experience they have, they will most likely tell you that it took them years of classes, seminars, reading and a lot of trial and error for them to get to where they are today. So, instead of wasting you money on those classes, that you might not understand, spend it in a more wise place by hiring a consultant for Amazon who has already gained that knowledge and understands what you need to do. We all know the saying, “time is money.” And it is true, the more time in your day to do the important things done in your business, will often result in you making more money. So, why are you trying to do everything yourself? While there are other sayings such as “if you want something done than do it yourself,” doing everything yourself and not letting go of those meaningless tasks that don’t necessarily need your full attention means that you are losing a lot of time that could be focused on more important things. By allowing a consultant for Amazon to handle your account and growth will give you the time you need to look into other growth opportunities, or even better, opening other shops as well. Amazon has many different sales channels for their brands, which means that you might have different sales, distribution and marketing channels all at once. If you try to do this all on your own, over time, it will become difficult to manage and you will end up costing your entire business. Do yourself a favor and hire a consultant for Amazon to take care of the little tasks of growing and managing your amazon business so that you can focus on the important parts. While it may be hard to let go, in the long run, you will be amazed at the results you will receive in the end. The bottom line here is that hiring a consultant for Amazon, especially an experienced one, is not only a smart and cost-effective choice, it is also a choice that will drastically boost your revenue for your business. The costs of doing things yourself, learning the tricks of the trade yourself and ultimately trying and failing by yourself, will be a lot more than if you choose to simply hire a consultant for Amazon. The Top 5 Strategies to Avoid Outsourcing Issues for your CompanyWhat Is A Virtual Assistant? I am an expert in Amazon product ranking and I can say that stable ranking definitely relies on having a consultant ready to help with covering all the bases. We have the same thoughts! Business owners should hire freelancer experts to do expert services.